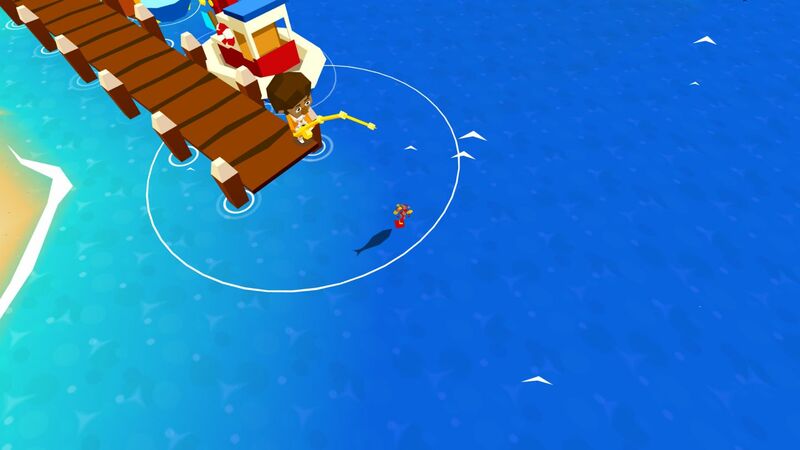 Originally conceived as a Facebook game in 2014, Castaway Paradise was then released on mobile and Steam back in 2015, but it clearly knows there is a gap in the Xbox One and PS4 market. Advertising itself as a simulation game in the same vein as Animal Crossing or Harvest Moon – and making no apologies for just how much at times – it’s a game that can easily whittle away a few hours, all in an experience that’s much gentler than many will be used to. Players can play as either a male or female character, one that gets caught in the middle of a horrific storm that capsizes their boat. When they come to, the mayor of the island – a pig named Viktoria – is stood over you. A brief tutorial occurs where I think Viktoria is checking to see if you are capable at menial tasks that the other residents appear unable to do so (I’m not sure what she would do if you were unable to complete them), and then it’s on to the main island to go about your business. Here you are left to your own devices, within the confines of the island at least. Castaway Paradise would be best described as an Animal Crossing-lite game. 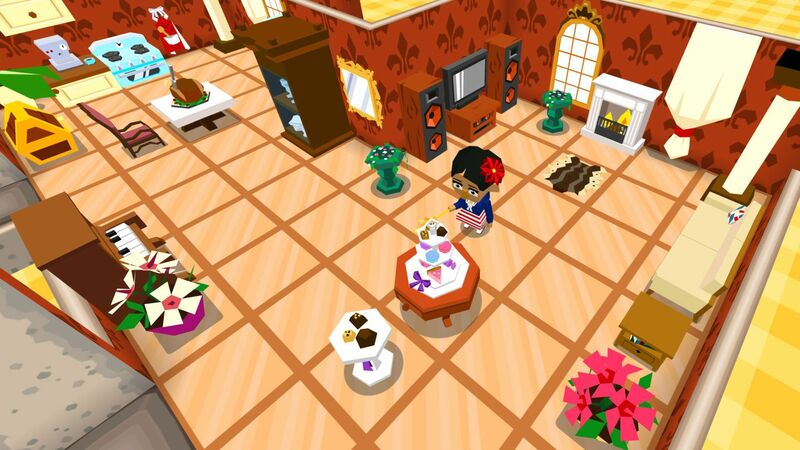 It features many of the same mechanics as Animal Crossing such as catching fish and bugs to be donated to the museum, an island economy complete with a bank and stock market to buy or sell and make extra bankroll, and a cast of colourful characters that each have their own pet name for you and will happily abuse your friendship in the form of giving you quests to do that they simply can’t be bothered with themselves. These can range from a simple fetch quest – particularly in the first couple of hours – to asking you to grow a few crops for them, which aren’t cheap to buy the seeds for. They aren’t always the most engaging quests – if ever to be perfectly honest – but with a game like this, you don’t have to complete them and can instead focus on other things such as picking weeds or smashing rocks. Anything to make the island pretty. These characters also happen to be anthropomorphic animals, so that’s another tick for the Animal Crossing clone. What it doesn’t include though is a full day/night mode. Castaway Paradise has seasons and seasonal events – where snow can cover the island or houses can be lit up and all decorated – but it lacks a day/night mode where different fish, bugs and even characters could appear. Instead they all appear to be available at any time, which is good for younger players whose evening time is at a premium. Another feature it doesn’t include – and is made all the better for it – is a Tom Nook replacement. Instead, Castaway Paradise offers you a tent for free at the very beginning of the game and allows you to upgrade that as and when you see fit, as opposed to holding that against you and demanding you pay it off. With interest. Also upgradable are the other residents’ homes, and a few other buildings on the island. Upgradable in the sense the storm that ravaged the island and made you a castaway in the first place has destroyed most homes on the island. When the game isn’t imitating Animal Crossing, it is taking a big leaf out of Harvest Moon’s playbook. 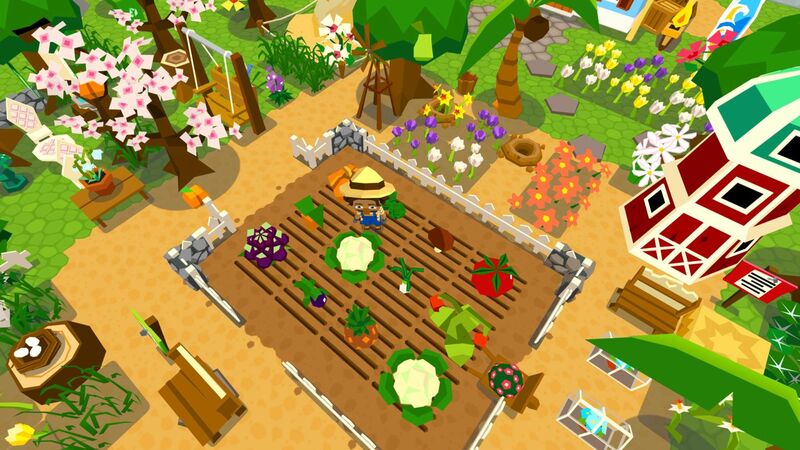 There is a big emphasis on growing plants, trees and crops and these will be your biggest income throughout the game. There are cooldown timers associated with each one and whilst you have the option of harvesting your crops early, you don’t get as much yield as you would for holding out. This can however be useful when trying to complete certain quests quicker. All these activities offer XP that help your player level up. 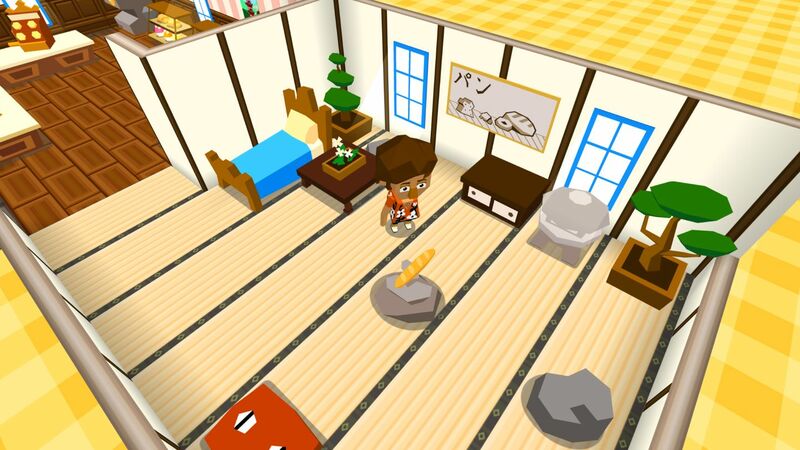 Each level gained opens a huge number of customisable objects such as clothes, seeds and furniture. The clothes and the furniture are all cosmetic and do not offer any buffs, but the large selection means there is something for everyone. My house currently has a snowman, sports car, pot of gold, saxophone and a drum kit, in it. Who says it has to match? As you progress you can also become the island VIP, which opens even more options up to you. There are also daily objectives available and these offer a different form of currency that has its own store. A lot of items in this store are mainly badges that can be donated to another area, cheekily named ‘Viktoria’s Secret’. Complementing it all is a colourful palette that won’t cause your console to grind to a halt under all the processing power, but the cutesy style clearly shows it’s a game for all ages. Nor will this be a game that will fill up your hard-drive, with it clocking in at just over 700MB. Parents can play with their children, but sadly there is no true two-player functionality. There are 40 achievements included in Castaway Paradise, but numerically they are all over the place. For example, I earned 46G for completing 25 quests, 21G for speaking to each villager, and then 4G for donating every shell. Aside from the fact that very few of the achievements end in a 5 or a 0, the weightings seem to not match up with the severity of the achievement. Either way though, this is not a hugely difficult completion, with only the collectibles causing the biggest headache. But rarely will you find a headache occurring. What’s good about Castaway Paradise is that it’s a great time sink; easy to spend an hour or two just mulling around the place, catching a few fish, pulling out some weeds or just tending to your crops. It isn’t the sort of gameplay that will appeal to everyone, but if you are looking for a game to simply pass some time, this is the perfect choice – especially with the £10.39 price.